Davos-Platz: Comfortable apartment block "Allod-Park". In the centre, in a central, quiet position. In the house: reception, restaurant, bar, breakfast room, internet access, WiFi, lift, storage room for skis, central heating system, washing machine, tumble dryer (for shared use, extra), ski boot dryer. Bread roll service, beverage service and breakfast possible. Motor access to the house. Parking. 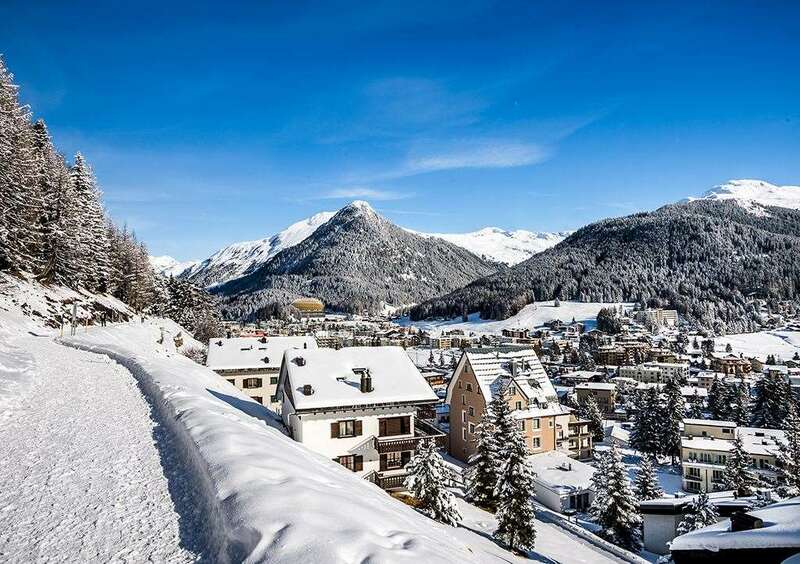 Shopping centre 800 m, bus stop 100 m, railway station "Davos-Platz" 1.5 km, outdoor swimming pool, indoor swimming pool 200 m. Golf course 2 km, tennis 4 km, indoor tennis centre 4 km, riding stable 5 km, sports centre 200 m, cable car 1.5 km, mountain railway 600 m, ski school 1.5 km, children's ski school 1.5 km, cross country ski track 1 km, ice field 200 m. Taboggan Run Schatzalp-Davos.>Special Activities/services: Weekly Raclette and Fondue Evening. Meals can be ordered from the restaurant. Ticket reservations for various events. Guest card for the free bus in Davos. Discounts for various sports activities. 3-room apartment 80 m2 on 5th floor, south-west facing position: living/dining room with 1 sofabed and cable TV. 1 room with 1 double bed. 1 room with 2 beds. Kitchen (oven, dishwasher). Bath/WC. Balcony. Maximum 1 pet/ dog allowed.